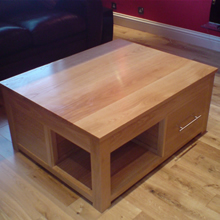 You have probably heard people refer to oak as the ‘mighty oak’. 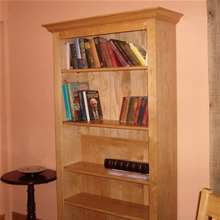 They may not know why specifically but it’s universally accepted by one and all as a tree among trees. 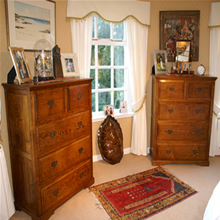 Oaks can live for over a 1000 years and there is one in California that is over 13000 years old!! 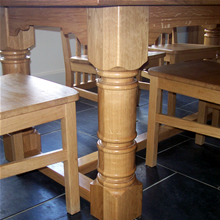 The wood’s qualities for hardness and durability; (due to it’s slow growth rate and two phase growth pattern creating very dense and less dense rings within one growth cycle), means it’s timber was first choice for boat and house builders throughout the centuries – if you ever get the chance go to Salisbury Cathedral you’ll marvel at the medieval oak beams that create the framework of the spire – the wood has been dated as being cut in the 1200’s. 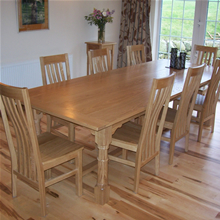 To work with a hardwood like oak requires specialist knowledge and expertise. 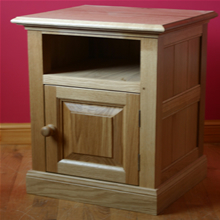 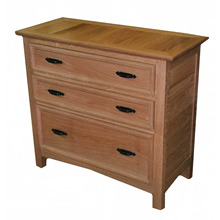 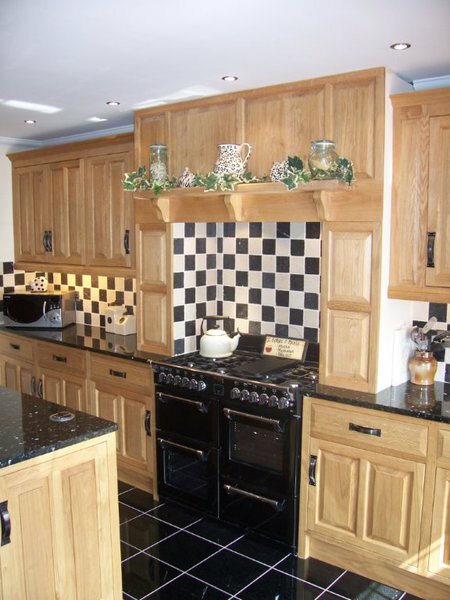 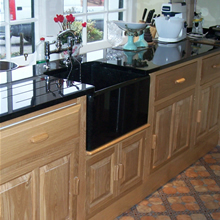 Many say they sell solid oak kitchens but they don’t really. 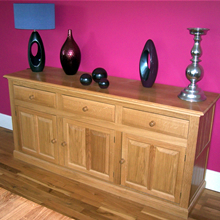 Look closely or ask the right questions you’ll find mdf, ply or tulipwood; (another name for poplar). 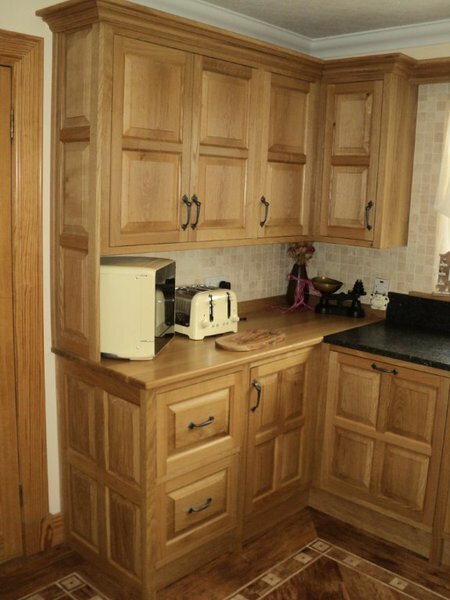 They will say using solid oak throughout is over engineering but perhaps they don’t have the expertise? 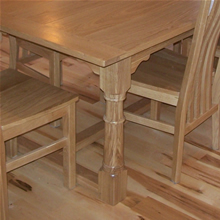 – Oak is hard to work with as it blunts tools quickly and you have make sure the moisture content is at the correct level to take account of movement. 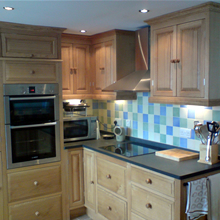 There is, however, no denying the finished job is superior especially in stand alone pieces for the larger kitchen. 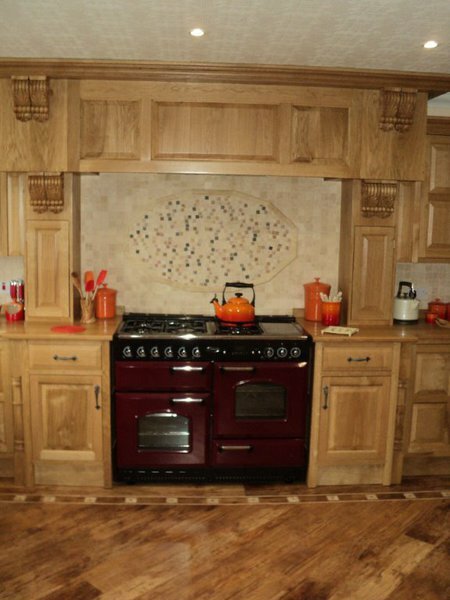 We are proud to say we are the Exclusive and Sole distributor; (out-with Dumfries & Galloway), of Bespoke Kitchens from Stevenson McConnell Ltd. 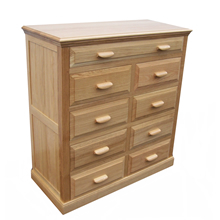 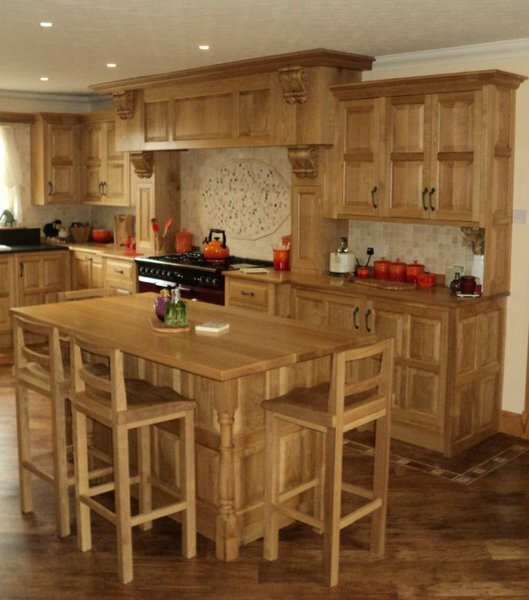 Cabinet makers to trade they are Scotland’s, if not the UK’s, leading solid oak specialists. 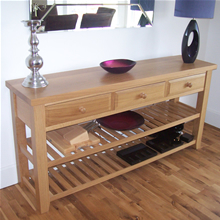 Tommy and Jim are master craftsmen who head up a small team who together produce exceptional, individual pieces of furniture. 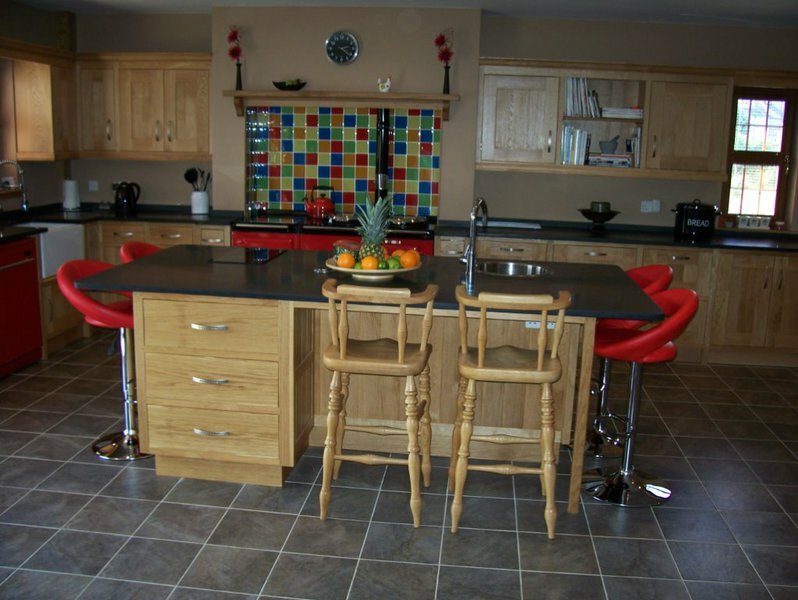 Their skills and attention to detail, coupled with the pride they take in their work, means that the furniture which is produced in our workshops is unsurpassed in terms of quality. 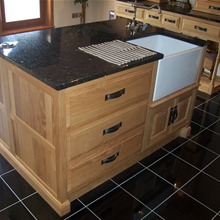 We can help by showing you samples in the showroom and creating a basic design. 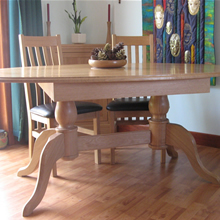 We can then arrange for you to ‘meet the makers’ to chat through the creative possibilities. 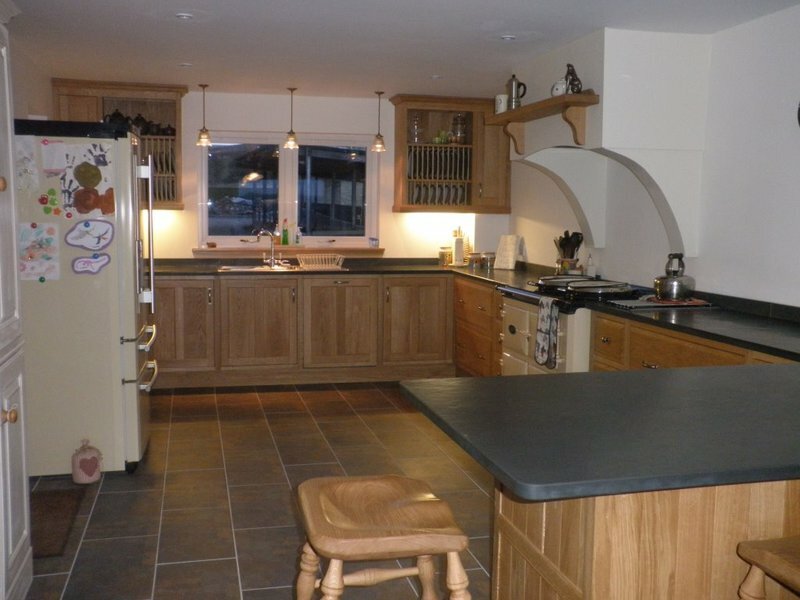 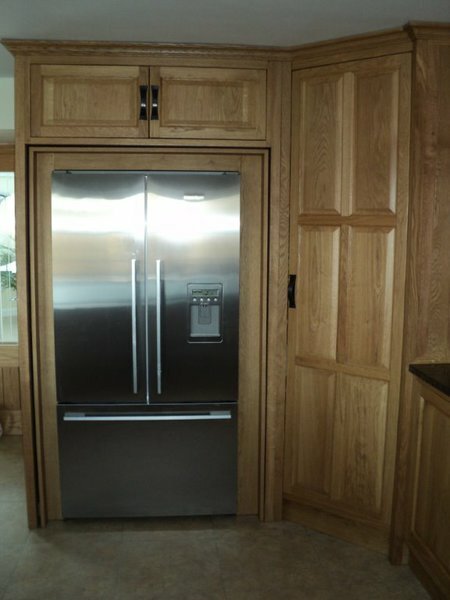 You really want a bespoke kitchen made from solid oak – don’t be fooled by imitations. 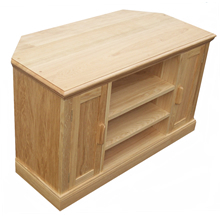 No chipboard, mdf or ply here – simply solid oak throughout, hand crafted into something that will make you smile every time you see it.